Shel Kahn is creating fantastic maps! Hi folks! I'm Shel Kahn, and I run The Sorcerer's Catalogue, where I sell original fantasy comics, art, tabletop RPG adventures and more! If this sparks your imagination, whether as a gamemaster, a storyteller, or a lover of magical art, you should sign up and come along for the ride! Each month I'll be making either a new map, or map accessories such as characters, creatures, secret dungeons, building cutaways - and more! So take a look at the tiers and decide how you'd like to receive your copy of each month's goodies! Everyone will get web-sized versions of the final map or accessories; for $7 you can also download higher resolution colour versions suitable for printing at home or pulling up for your online game night! At $10 you'll get access to my pdf library, and if I produce any written content this is the tier to make sure you're first to read it! 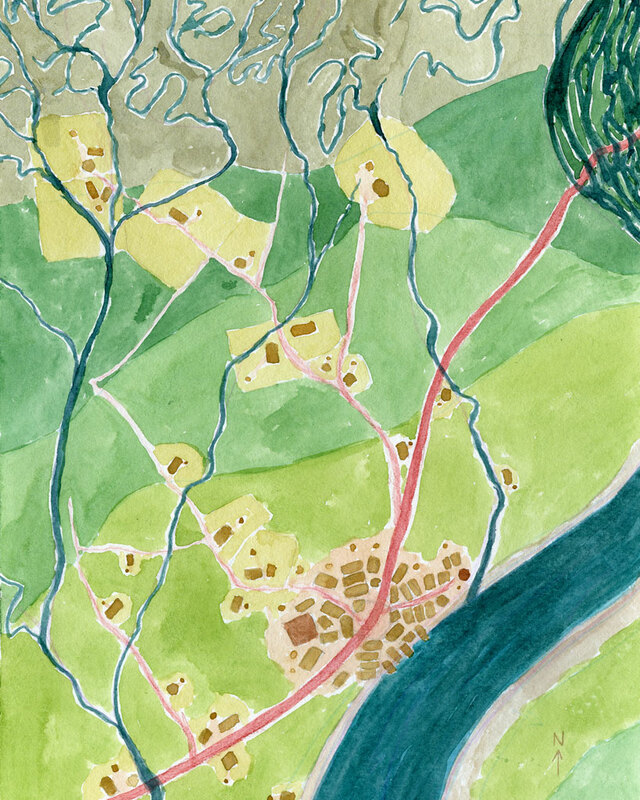 The next three tiers are for folks who want physical rewards - they each include high res digital files and the pdf library, but each delivers a different sort of map to your front door! 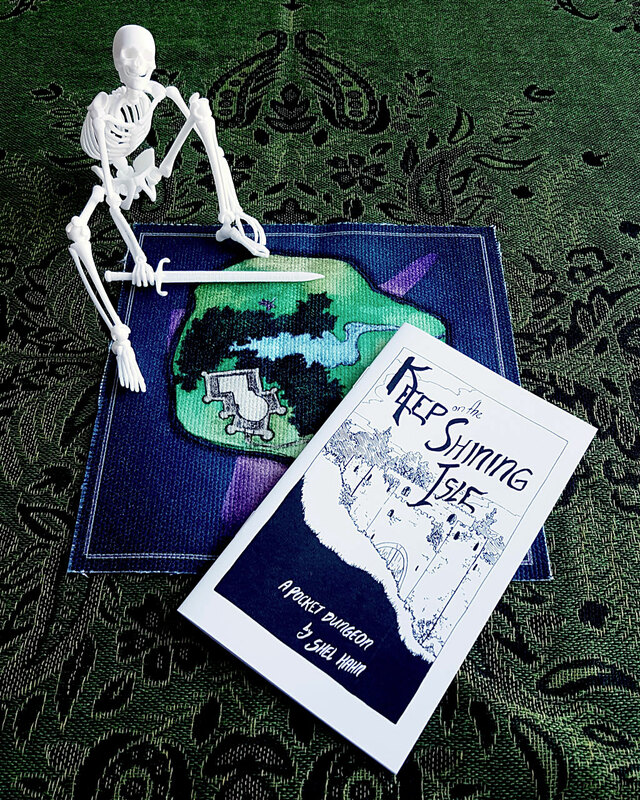 For $15, you'll receive patch-sized prints of maps or map accessories, on an 8 x 8" square of canvas, ready for you to cut out and add to your favorite jacket or to turn into a dice bag. For $30, you can sign up to receive table-sized cut-and-play prints of maps and matching-sized map accessories, printed on an 18 x 21" cut of canvas. Whether you hang these on your wall, run your next d&d one shot on them, or build a Lego town on top of them with your kids, they'll be sturdy, washable and archival. 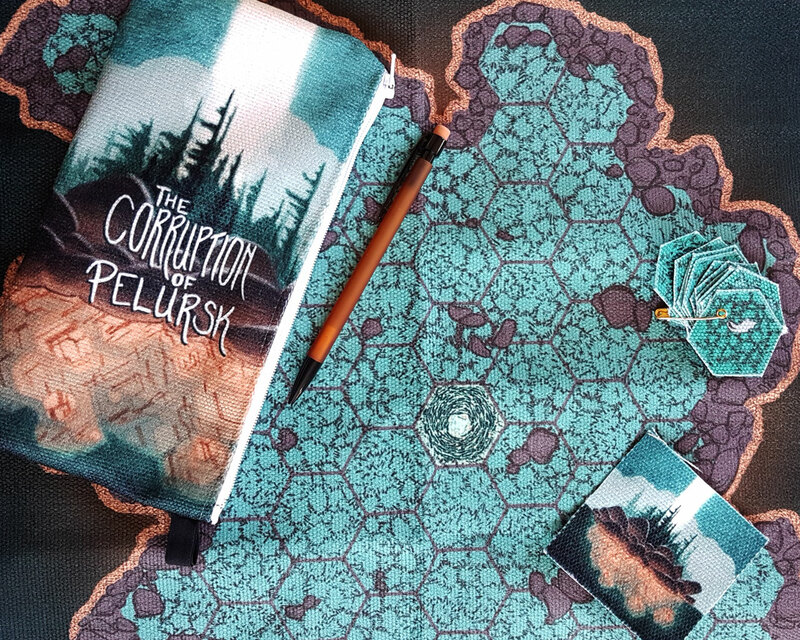 If you'd prefer paper, we are offering a second $30 tier which includes archival, matte prints of the maps and their matching accessories in cut-and-fold paper-mini format! 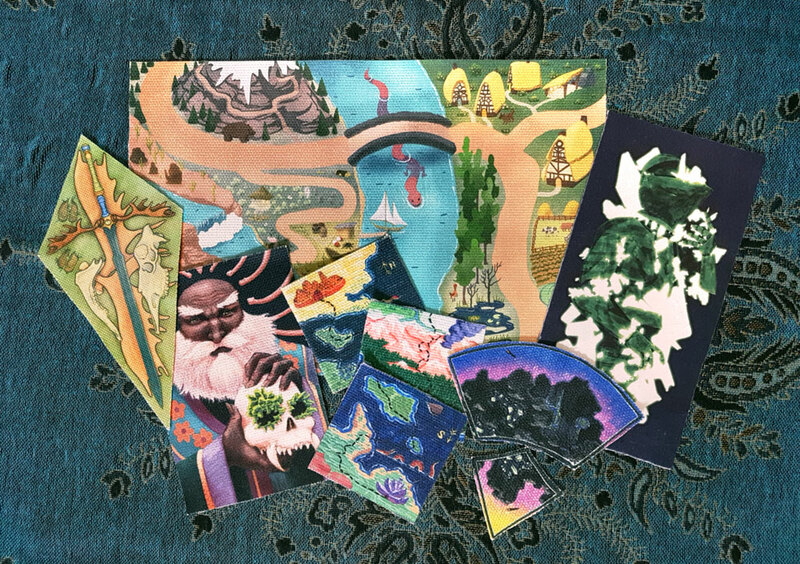 These gorgeous prints will be up to 24" wide and will make great wall art - as soon as you're done running your dungeon world group through the haunted woods or over the river dragon's crossing! I'll be sharing my work on my self-published ttrpg adventures, my comics, and my personal illustration work here as well, but I am really excited to focus in and spend 2019 mapping out some wonderful places, and I can't wait to have you join me! 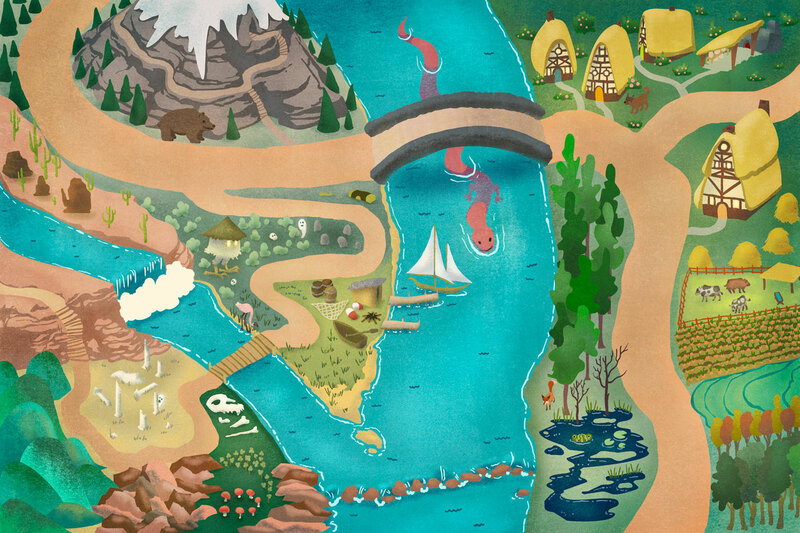 Digital & print and play maps! Print resolution tiled printable maps! Access to a library of pdfs of all my zines! New pdf copies of zines, comics, etc! The first three reward levels! A monthly patch sized cut-and-play map or map accessory, max 8" on any side! A monthly large colour raw-edge cut-and-play fabric print of a map or a set of cut-and-play map accessories - max 21" on the long edge! A monthly medium sized colour paper print of a map or a map accessories set - max 24" on the long edge! At this level I will start writing up small stories and gameable blurbs to go along with my maps and accessories! These will be delivered as PDFs to the PDF Library tier and higher.